The concept used to realize the modulation of molecular recognition in a molecularly imprinted polymer is presented. 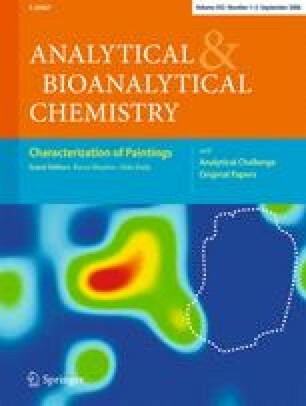 Creating a thermal phase transition within the binding framework, the imprinted material was prepared using Boc-phenylalanine as the template and pNIPAM as the sensitive unit. The results indicate that such a transition causes a clear modulation in the recognition behavior of the prepared polymer which depends on the operation temperature. At a relatively low temperature, the prepared polymer acts like a traditionally imprinted one, showing a highly specific recognition for the imprint species. However, the prepared polymer does not present any notable resolution at 40 °C. This recognition behavior is comparable to a process that can be switched on and off, thus making modulated recognition feasible. The authors want to thank the National Science Foundation of China (Grant No.20603010) and the Science Foundation of Hubei Province (Grant Nos. 2007ABA339 and 2007ABA381) for their financial support of this research.